Police have seized £120,000 of herbal cannabis following a search in the Ballylesson Road in Lisburn. 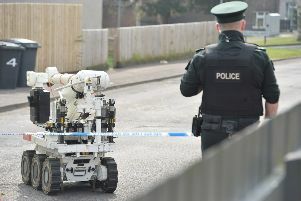 Chief Inspector John Wilson of Lisburn PSNI said that they acted on information they had received and made the discovery after a search on a house. “Herbal cannabis, which if sold by criminals could have made them more than £120,000 was discovered,” he said. “This is very substantial and some of the haul was bagged up and ready for processing.